Alderfer Auction is in a community rich in art, conveniently located in the suburbs of Philadelphia and the Pennsylvania Academy of Art. This has presented many opportunities for Alderfer to fill the needs of collectors locally and around the globe in search of pieces to fill their collections. Alderfer Auction holds many records in their specialty of Pennsylvania Impressionists. Located just miles from New Hope, Bucks County and the Delaware River, this rich and diverse landscape provided popular subject matter for many of the Pennsylvania Impressionist painters and the New Hope School of Art. Alderfer Auction has established many records of sales including George Sotter’s “Village at Night” for $264,500, and “Snowbound Hills” for $247,250. Walter E. Baum, a native of Sellersville, PA, was an artist, teacher and journalist who also favored the rich landscape of his subjects. His “The Mill Sellersville, Winter” sold for a record $97,750. Additionally, “Snowbound Hills” by Arthur Meltzer still remains in the top two sales at $126,500. Art has many forms, fashion and markets. Alderfer Auction has recognized the need in the marketplace to create appropriate venues for sale for both buyers and sellers. Alderfer helps clients discern which market is best suited for the sale of their works. Fine Art Auctions are held three times a year. It encompasses original works of art by established, “listed” artists, in good condition. 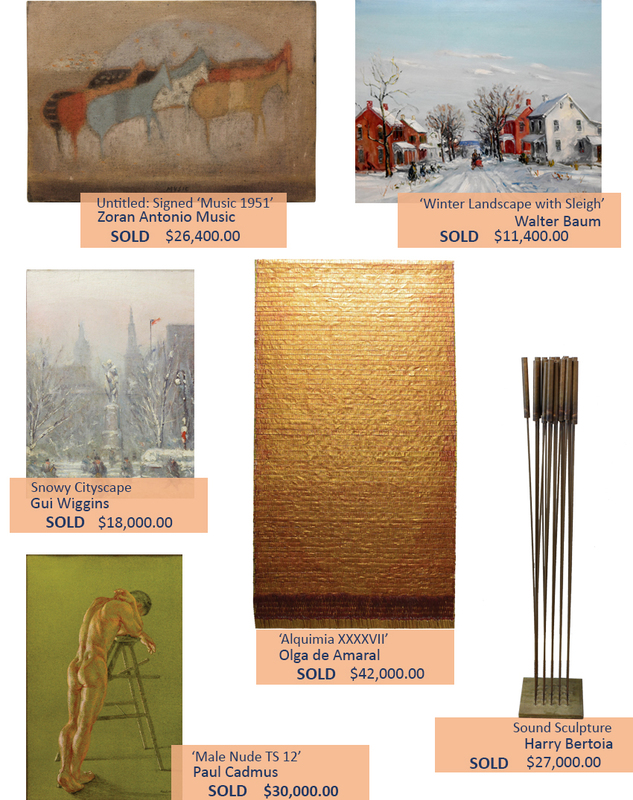 Discovery Art Auctions are held six times per year. Discovery art handles oils, watercolors and prints of lesser known artists, unknown artists of exceptional quality, works subject to condition issues and works with uncertain authorship. Gallery Auctions are held bi-weekly and features decorative works of art, giclee and prints.